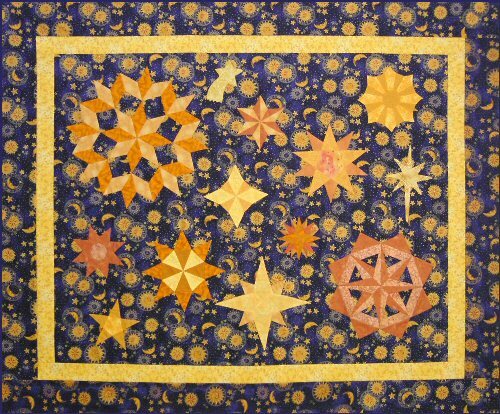 Quilt Size: 54" x 47"
This star quilt pattern is great for a take along project. I designed it so you can use one of those beautiful celestial fabrics whole, as your background! Sew your blocks throughout the months, and before you know it you will have this project finished.